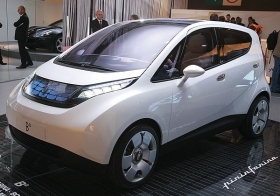 When Pininfarinas contract production ends, the Italian company will concentrate exclusively on building electric cars such as the B0, shown. TURIN, Italy — Pininfarina has approved a revised industrial plan that calls for an end to its contract carmaking operations when current production ends in 2011. The Italian company then will concentrate exclusively on building electric cars such as the Pininfarina B0. The revised plan came just before creditor banks approved a financial rescue for the company that saved it from the equivalent of a U.S. Chapter 11 bankruptcy filing. Under terms of the plan, banks will take control of Pininfarina.